In 2012, we wrote about a drug that had taken the place of OxyContin as the favorite among prescription opioid abusers. For the simple reasons that it was easier to crush up to be either snorted or injected, and roughly twice as potent as its oxycodone cousin. The drug we are referring to is Opana, made by Endo Pharmaceuticals. Even five years ago the drug had already found its way to the rural pockets of America, regions where overprescribing is rampant and access to addiction treatment is minimal—such as Scott County, Indiana. While Endo would go on to reformulate the Opana to make it harder to abuse at the behest of agencies like the U.S. Food and Drug Administration (FDA), people living with opioid use disorders found ways to circumvent the tamper resistant features. 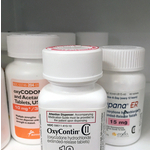 When OxyContin was reformulated, it did not take long for addicts to “hack” their way through the safeguards built into the pills. The reformulated Opana made it more difficult to snort, so addicts turned to the needle. With a little bit of effort and some ingenuity, users started injecting these powerful prescription opioids. Back in 2012, our fears were directed towards the risk of overdose, as a significant number of people were succumbing to Opana abuse. Granted, such concerns were certainly warranted; however, there were things other than overdose to be worried about. You see, in places like rural Indiana and the ilk, accessing clean hypodermic syringes hasn’t been an easy task, historically. Both citizens and lawmakers have long held to an idea that providing sterile needles to IV drug users promotes continued use. When reality is something quite different. Needle exchanges not only reduce people’s risk of contracting HIV and hepatitis C, they also provide substance abuse counselors an opportunity to discuss addiction recovery options with the subset at greatest risk of a fatal overdose. People in the grips of active addiction are rarely in a setting that they will be in contact with addiction counselors. As a result of not providing resources for IV users to obtain new syringes, sharing was a regular occurrence. And in rural Indiana, sharing needles resulted in about 150 new cases of HIV, CNN reported in 2015. People's lives changed forever because of erroneous ideas about needle exchanges. Are you or a loved one addicted to prescription opioids or heroin? If so, please contact Whiteside Manor as soon as possible. The landscape of opioid use and abuse is constantly changing for the worse, fentanyl is being mixed into heroin or disguised as OxyContin. The risk of overdose death is greater than it’s ever been. We can help you or your loved one break the cycle of addiction and learn how to live a fulfilling life in recovery.